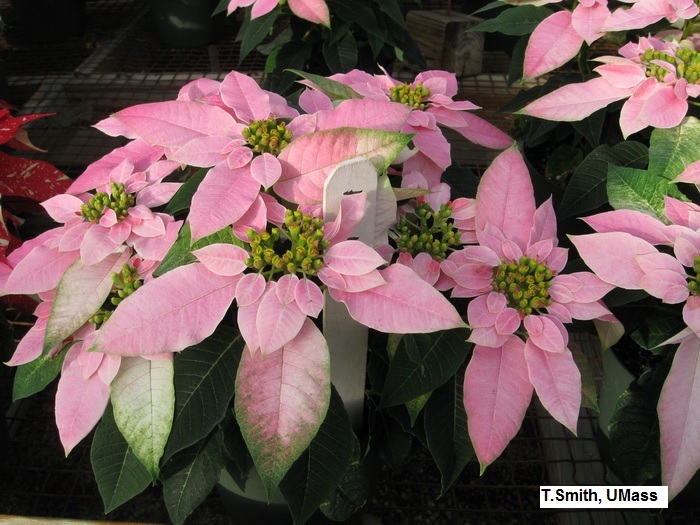 Holiday plants light up the waning daylight hours of late fall and early winter. They represent an ancient tradition of honoring seasonal cycles and celebrations. With a bit of care, the most familiar and festive plants will delight you for weeks. In general, cooler temperatures and careful watering will keep plants healthy and attractive. Amaryllis To force, water once thoroughly, then, water when dry to the touch. Force in sunny spot; then, move to medium, indirect light. Force at 65°‐70°; move to 55°‐65° Will bloom 6 ‐ 8 weeks after potting. Failure to bloom is often a result of overwatering. Remove faded flowers and stems after bloom. Will bloom many years with proper care. Cyclamen Keep evenly moist, not soggy. bright, indirect Try a north window. 50° ‐65° Blooms may last several months if kept cool, 50 ‐60 at night. Flowers dependably for one season. Christmas + Thanksgiving Cactus when dry to touch bright, sunny 60° ‐70° Plants will live for years; may rebloom in spring. Kalanchoe when dry to touch bright, sunny 60° ‐ 75° Flowers dependably for one season. Narcissus ‐ Paper whites Keep roots in water, or moist if in soil. bright 50° ‐ 65° Settle bulbs down half way into pebbles + water, or soil. Discard after bloom. Poinsettias when dry to touch; do not allow to dry out! bright, sunny 60° ‐ 70° Avoid drafts. Plants are not poisonous, but milky sap can irritate skin. Flowers dependably for one season. Remove decorative paper or foil ‐ or open a large hole in the bottom ‐ so that water drains freely from pot. Check plants daily ‐ if your home is cool, most plants need water only once a week. “Dry to touch” ‐ the top 1” of soil is mostly dry to the touch; below 1”, the soil feels moist. “Evenly moist” ‐ the top of the soil is slightly damp to the touch, not dried out. Avoid soggy soil; plant roots need air! Water just until the water flows out of the drainage hole. Do not leave pot standing in water. 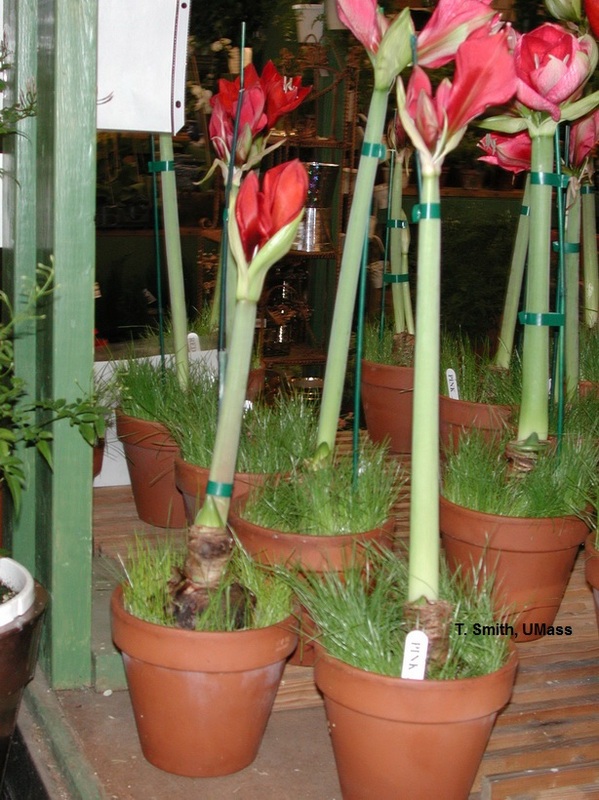 Anthuriums - have showy, waxy, bright red or pink flowers; good for warm homes >70°F. Norfolk Island Pine - needs high humidity. Rosemary - Often sheared to a Christmas tree shape; needs sunny window, welldrained soil; water when dry to the touch.